Narrative skills allow us to understand and express information. We tell stories everyday by introducing ourselves, retelling memories, providing directions, reporting news, describing an event, and persuading others. Good storytellers are able to capture an audience with a compelling and fascinating story. Children experience storytelling first hand through caregivers, teachers, movies, books, etc. Children learn to determine the plot, characters, climax, and conclusion by listening to stories. Eventually, children will develop the skills to retell stories in a cohesive and sequential manner. If a child demonstrates difficulty with reading comprehension in school, they may experience poor narrative skills as well. The child may have trouble detecting key parts of the story such as the main idea and character development. Problems with verbal narrative skills may include poor topic maintenance, deletion of important details, and poor sentence structure. Below are tips to incorporate at home to increase story telling. Continue to share memories, read books, and create playful stories with your children! · Bedtime stories: Creating a consistent routine of nightly story time instills the importance of reading and story telling at a young age. · Narrate routines: Verbalize the steps to everyday activities in front of your children. For example, at bath time narrate, “First I turn on the hot water, then add the soap, and finally step into the bathtub”. Once children learn sequencing, they will be able to provide verbal directions or steps. · Imaginary play: Play pretend with your child by creating a story line with dolls, figurines, or dress-up. Create a clear plot with characters, conflict and resolution. · Ask “wh” questions. Ask specific questions that start with who, what, where, or when instead of black and white questions requiring only a yes or no response. While reading a book, ask “wh” questions throughout to encourage reading comprehension and expressive language. · Summarize shows and movies: After watching a TV show or movie, ask your child to explain what happened. Guide your child’s response by asking about the characters, scene, conflict, and resolutions. · Reminisce about the past. Children love to hear stories about themselves. Tell funny stories about them as a child, or reminisce together about fun family activities or vacations. · Rory’s Story Cubes: Roll 9 cubes to generate 9 random images and create a story beginning with “Once upon a time...” by incorporating all 9 image elements. · eeBoo Create and Tell Me A Story Cards: These cards incorporate elements of a fairy tale into beautifully designed cards. Play the game as a group by taking turns adding to the story. The cards inspire story telling, language elements, and imagination. · Tell Tale Card Game: Consists of 120 illustrations of characters, settings, objects, and emotions for endless imaginary possibilities. · Good Dog, Carl: A Classic Board Book: This wordless picture book provides children with an opportunity to create their own story line. “Storytelling: Why Narrative Skills Are Essential to Communication.” Integrated Children's Therapy, 1 Mar. 2018, integratedchildrens.com/storytelling-narrative-skills-essential-communication/. You have heard it over and over again to drink more water, but what about your children? Children are at a higher risk of dehydration than adults because of their smaller size. Children also have difficulty identifying thirst. Our bodies are made up of approximately 70% water. Water has many body functions such as regulating body’s temperature, digesting food, and removing toxins from the body. Dehydration occurs when the body is not receiving enough water, or losing fluids too quickly. Dehydration is usually due to an illness and/or fluid loss from diarrhea or vomiting. Dehydration may also be due to decreased fluid intake. Water is eliminated from the body through sweat, breathing, and urination. Due to the active lifestyle of most children, they are more susceptible to losing excessive amounts of fluid during the day. It is important to encourage adequate water intake during meals and playtime. Children older than 8 year old require 6-8 glasses of water, and children under 8 years old need 4-6 glasses of water per day. Add a slice of lemon or lime to flavor the water. Keep infused water pitchers in the fridge for accessibility. Some favorites include raspberry-mint, lemon-cucumber, blueberry-lime, and strawberry-basil. Freeze berries into ice cube trays for flavored ice-cubes. Use crazy straws to make water glasses more fun. Have your child pick out a water bottle of their choice. Contigo, Pura kiki, Manna Moda, or Polar Bottle are all great options. Be a role model by frequently drinking water around your children. Make a water chart. Every time your child drinks 1 glass of water, they can put a sticker on the chart. Limit Juice, soda, and energy drinks to special occasions only. “Children & Hydration.” Healthy Kids, healthy-kids.com.au/parents/children-hydration/. “Dehydration.” About Kids Health , www.aboutkidshealth.ca/En/HealthAZ/ConditionsandDiseases/Symptoms/Pages/Dehydration.aspx. Family Life and More, familyshare.com/2812/4-reasons-your-kids-should-drink-water. Jr., Robert Ferry. “Dehydration in Children: Symptoms, Signs & Reaction.” EMedicineHealth, 21 Nov. 2017, www.emedicinehealth.com/dehydration_in_children/article_em.htm#what_are_the_home_remedies_for_dehydration_in_children. Valentine’s Day is a not about the candy, cards, teddy bears, nor flowers. It is a day to spread love and happiness. It is a day to tell the people close to you how much you appreciate and love them. Below are some cute and simple ways to communicate how much you love your children. Express your love for your children through these small but meaningful gestures. 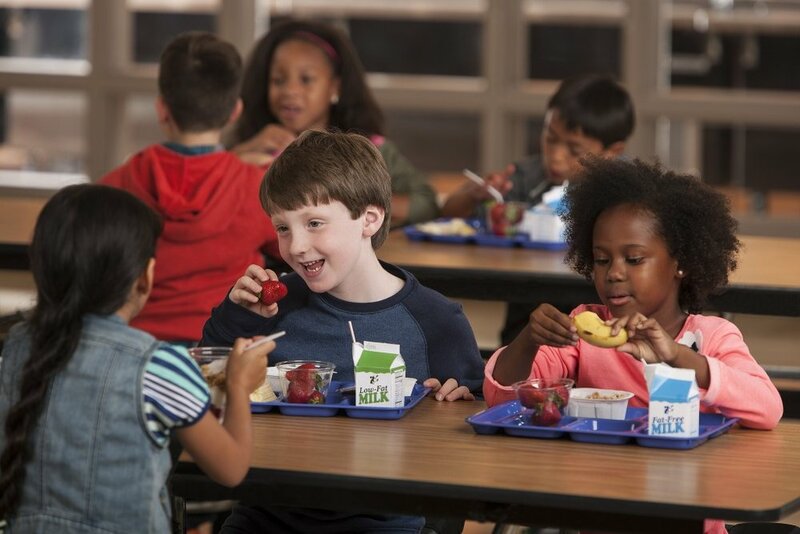 Send a notecard with a sweet message in their lunch or backpack. Write a short “I love you” on the bathroom mirror with lipstick to brighten their morning. Decorate the bedroom door with heart-shaped notes with messages of things you love about your child. Spend the morning browsing through old baby books and picture albums. Your children will love looking at their baby pictures. Make new Valentine’s Day traditions as family. Some fun activities include making heart-shaped pancakes, baking cookies, getting a sweet treat after school, playing a game or seeing a movie. Give back to others as a family. Create valentines to bring to a neighbor, nursing home, or children’s hospital. Volunteer at a local soup kitchen or donate to a charity. Valentine’s Day is a great reminder to express love to others, but showing gratitude and love should be a daily practice. Show your children how much you care for them through time and attention, nutrition, and teaching. Your time is the most valuable gift you can give your children. Put away the phone, to-do list, and work deadlines to make a daily commitment of uninterrupted engagement. Read stories, play a board game, and/or engage in a meaningful conversation. Each day the length of time and activity may differ, but your children will appreciate the undivided attention. Nutrition. Give your children the gift of a healthy life by providing nutritious and well-balanced meals. Although your children may not realize the importance of a healthy lifestyle, they will thank you in the long run. 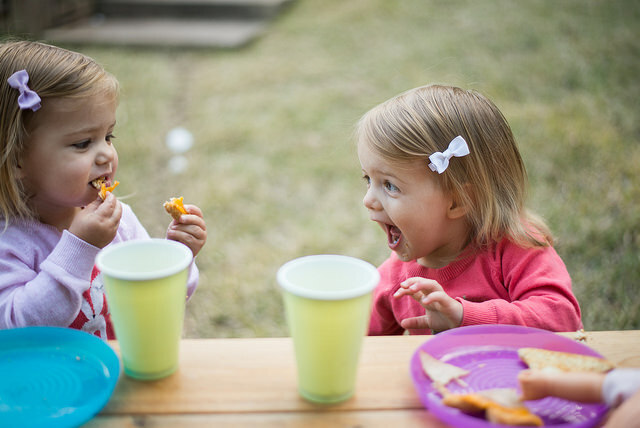 Finding a balance between nutritious meals and special treats is important for young children. Too much sugar can cause irritation, fatigue, and mood swings affecting your child’s cognition and attention. Valentine’s day is an excellent opportunity to discuss what it means to love. Love is an abstract concept that may be hard for children to fully understand, but give examples on how your family members express love to one another. Love and gratitude go hand in hand. Make a list of the most important people in your lives and what they mean to your family. Most importantly, tell them you love them every day. We love and appreciate our Lumiere Children’s family! Wishing you all a happy Valentine’s Day! Sheff, Jean. “4 Ways to Show Your Kids You Love Them.” Westchester Family , 28 June 2017, www.westchesterfamily.com/stories/2017/2/wf-fab4-valentine-2017-2.html. Holiday season can be overwhelming for anyone, but it is especially hard on children. Anticipation for the magic of Christmas begins at Thanksgiving and continues for many weeks. Throughout the many holiday traditions, family gatherings, and celebrations, children are expected to be happy and excited all season long. These gatherings can be even harder for children with special needs, shy temperaments, or young children. Learn how to make this special season relaxing and inviting for you and your family. Observe your child in social situations leading up to the holidays. There may be certain times of the day your child is more outgoing and playful compared to others. Determine the people your child is most comfortable around, whether it be close family members, grandma and grandpa, or kids their age. Identify the environments your child prefers. Some children have difficulty with excess stimulation like lights and music. Determine if your child can adjust to new environments easily or prefers to stay at home. Knowing when and where your child feels most comfortable will help to plan out your holiday excursions. Kids can experience stress during the holiday season with constant exposure to new places and people. Setting healthy boundaries around the holidays is important to decrease the chaos and stress of the season. Maybe skip the town’s tree lighting ceremony if it is too late or cold. Politely turn down the ornament exchange if you already committed to a party earlier in the day. If declining an invitation is not an option, consider hiring a babysitter for the night to give your kids a break. Children thrive on stable schedules but the holidays are notorious for inconsistent bed times, excess food, and traveling. Try to keep sleep schedules relatively consistent during this time. 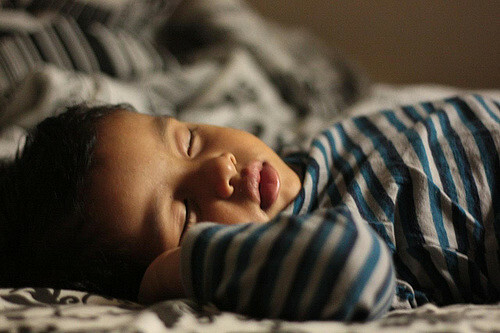 Losing 10 minutes of sleep a night can add up quickly for toddlers resulting in more temper tantrums, illness, or stress. If traveling for the holidays, communicate in advance about naptime and bedtime. Bring along pajamas for the car rides to encourage sleep. Keeping a regular mealtime is important as well. Most adults tend to indulge around the holidays resulting in one to two big meals a day. Children cannot adjust as easily to fluctuating mealtimes so keep healthy food readily available for young ones. Give your child notice about what to expect from holiday parties. Show pictures of the people attending the party and explain the relationship. Describe what the party will entail (gift opening, cookie baking, tree decorating, etc). Have your child pick out their favorite toy to bring to the party to share. Discuss the house rules and expectations ahead of time with your older children. Bring along a bag with your child’s favorite toy, blanket, snacks, and pajamas to change into. Designate a corner or area in the house as a quiet space for your child to retreat to. If they feel overwhelmed, they can read a book or play with a familiar toy in the corner to decompress. If your child is slow to warm up at a party, play with your child at first. Invite another child or adult into the play to help ease the transition. Be realistic with your expectations for your children over the holidays. 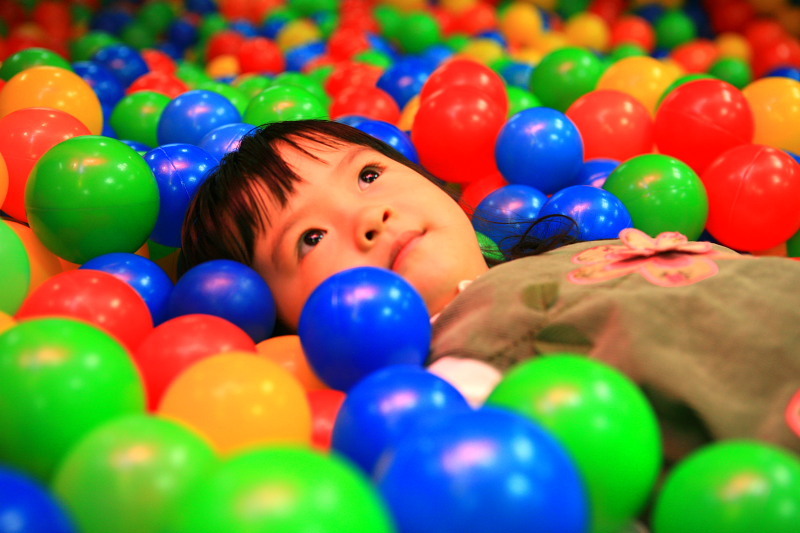 Kids need downtime and relaxing just as much as adults. Praise your child for good behavior, and listen to your children when they are upset. Tantrums are not necessarily a negative behavior, they are a way for children to express when they feel stressed. Hold your child close and comfort them at times of distress. Most importantly, have fun! Enjoy this magical season with your loved ones! Marchenko, Gillian. “5 Tips to Help Children with Special Needs Feel Comfortable at Your Holiday Party.” Chicago Parent, 15 Dec. 2014, www.chicagoparent.com/special-needs/special-needs-holiday-party/. Lerner , Claire, and Rebecca Parlakian . “Children with Shy or Slow to Warm Up Temperaments.” ZERO TO THREE, 18 Feb. 2016, www.zerotothree.org/resources/198-children-with-shy-or-slow-to-warm-up-temperaments. Scurrying to finish all your Christmas shopping in time? Fear not, Lumiere Children’s 2017 Christmas List is here! Purchase gifts that will help your child develop the necessary language, fine motor, and gross motor skills. The toys that made the nice list this year are geared towards language, fine motor, and gross motor development. These toys are divided into age-appropriate groups as well as the specific developmental milestones addressed. The affiliated links are provided for easy access! Language Development: Toys that focus on identifying objects, corresponding sounds of objects or animals, imaginary play, theory of mind and cooperative play. • Fine motor development: Focuses on manipulating small objects, hand-eye coordination, and handwriting development. Gross motor development: Focuses on Heavy lifting, balance, and proprioceptive skills. Language development: Addresses deductive reasoning, cognitive aspects of language, and expressive and receptive language. Fine motor: Targets hand grip, hand-eye coordination, and fine movements. Gross motor development: Focuses on balance, proprioceptive skills, right/left identification, and crossing midline. Toys that fall under the ‘naughty’ category this year include electronics and restrictive movement toys. Although electronics may seem like an appropriate and engaging gift for most children, it often inhibits fine motor development and appropriate social interactions. Restrictive movement toys inhibit the development of gross motor skills such as rolling, sitting, and walking. Common restrictive toys include Bumbo seat, power wheel ride-ons, and exersaucer. Happy shopping! Happy Holidays from the Lumiere Children’s Team! “The 'WRONG' Toys for Holding Your Child Back and the 'RIGHT' Toys for Building Your Child's Brain.” Integrated Learning Strategies, 1 Dec. 2016, ilslearningcorner.com/2016-12-learning-toys-the-wrong-toys-for-holding-your-child-back-and-the-right-toys-for-building-your-childs-brain/. Donation. Donate toys, coats, and baby items to Children’s Home + Aid for their Holiday Gift Guide. Explain how some children are less fortunate and cannot afford new toys and clothes around the Holidays. Once your children understand the meaning behind the shopping, they will enjoy picking out new toys and clothes for another child! Incorporate ‘high and low’ into dinner routine. During each dinner, go around the table and mention the best and worst part of the day. Children learn more from what you do than what you teach. Show gratitude and give thanks often at home. Children will learn to find happiness for the important aspects of life more so than the materialistic. Happy Thanksgiving to you and your family from Lumiere Children’s Therapy. Latvala, Charlotte. “Teaching Children to Be Grateful.” Parents , www.parents.com/toddlers-preschoolers/development/behavioral/teaching-children-to-be-grateful/. Reiser, Andrea. “11 Tips for Instilling True Gratitude in Your Kids.” The Huffington Post, TheHuffingtonPost.com, 5 Feb. 2014, www.huffingtonpost.com/andrea-reiser/11-tips-for-instilling-true-gratitude-in-your-kids_b_4708019.html. Bullying is a problem for many school-aged children, and often times the target is a child who differs from their peers in some way. Unfortunately, incidences of teasing and bullying are significantly high for children who stutter. Any form of teasing can cause damage to a child, so parents often feel angry, helpless, and concerned for their child. As much as a parent would love to march right up to the bully himself, teaching children how to appropriately handle bullying situations will prepare them for any future encounters. Many children may feel ashamed or embarrassed to admit they are being teased. Children who stutter may also avoid confiding in their teacher because they are embarrassed they may stutter while explaining the situation. Avoiding school or social functions by making excuses, grades dropping, losing or gaining weight, depression or irritability are all common signs of bullying. If you notice any of these signs, talk to your child first. Next, address the bullying head on. Educate your child on appropriate ways to interact with a bully without resorting to their poor behavior. Role-playing is an effective way to prepare your child for situations in a safe and comfortable environment. Role-playing may include rehearsing what to say to the bully, approaching a teacher or principle, or walking away from a negative situation. Rehearsing prewritten lines may help a child who stutters feel at ease when the moment arrives. For examples of role-playing, visit the International Stuttering Association website. As a parent, you may feel responsible to address the situation as well. Avoid addressing the situation with the bully’s parents; instead, reach out to the principle of the school. The principle and teacher will be able to observe the children interacting and handle the situation appropriately. A discussion with the speech-language pathologist (SLP) in the school may be beneficial as well. The SLP can address the situation with your child, and practice the role-playing at school. The SLP may also chose to talk to his/her class as a whole about stuttering and how to best react to a child stuttering. Always ask the child for permission before sending the SLP to the classroom. Make your child feel important and loved at home. Plan a day filled with their favorite activities, or spend a few hours one-on-one with them to make them feel special. Bullying and teasing can be detrimental to a child’s self-esteem. Reach out to Lumiere Children’s Therapy to talk to our family counselor about bullying. Lew, Gail Wilson. “What Parents Can Do For Your Child When He Is Being Teased for Stuttering.” Parents Main Page, International Stuttering Association, www.isastutter.org/CDRomProject/parent/parent_main.html. With Halloween only a week away, get in the spirit with some Halloween-themed crafts and activities. We compiled our top 10 crafts and activities targeting gross and fine motor, sensory, music, and speech! Pumpkin seeds count: Pumpkin seeds, ice tray, and tweezers are all you need for this fine motor and counting activity. On the bottom of an empty ice tray label the numbers 1-10. Have your child add the amount of pumpkin seeds to each hole using a pair of tweezers. Spider races: Ready, set, go! See which spider can cross the finish line first by blowing through a straw to move the plastic spider. This oral motor activity encourages lip closure and breath support. Pumpkin pie play dough: Not only is this play dough fun, but it smells amazing too! Let your children participate in making the play dough by following directions to measure, pour, and stir. Model cooking language and vocabulary throughout activity. Once the play dough is cooled, roll out the dough and use cookie cutters as a fine motor exercise! Pumpkin Apple Stamp: Create cute pumpkins by stamping half of an apple with orange paint onto the paper! Add a stem with green paint and a face with black marker! This fine motor activity is fun and engaging for all ages! Letter writing with spiders: Practice alphabet writing by tracing letters with plastic spiders or pumpkin seeds. After tracing a prewritten letter, have your child create their own letters or spell their name with spiders or pumpkin seeds. Googly Eye Sensory bag: Simple, spooky, and slimy sensory bag! With only three ingredients necessary, this is a go-to activity. Sensory bags allow children to explore and learn while engaging in their senses. Apple Pie in a cup: Delicious kid-friendly apple pie recipe! Write out the directions or a picture for each step on a piece of paper. Teach your children how to read and follow directions to make this treat. They will love smashing the graham crackers and topping with whipped cream! Spider web walking: Practice balancing skills by following a spider web made of painters tape on the floor from start to finish. Incorporate language goals by sprinkling Halloween objects around the web, and having your child label each object as they pass! Spider Speech Sounds: We can’t have a spider web without a spider! Outline the legs and body of a spider on a piece of black construction paper. Your child will cut out the parts and glue them together; add googly eyes to create an adorable spider! In white crayon write their target speech words on each leg and encourage your child to name each leg before gluing. Corn Shakers: Simply add popping corn to a screw-top bottle or jar for an instant musical instrument! Play a few Halloween songs and have your child shake along to the beat. Use a variety of containers (empty spice jar, toothpick jar, mason jar, water bottle, baby food jar) and compare the sounds made from different containers. Share your spookiest pictures and best Halloween crafts on our Facebook page! Editor. “Corn Shakers Music Activity.” Pre-K Pages, 11 Oct. 2017, www.pre-kpages.com/corn-shakers-music-activity/. “Montessori Activity Trays.” AlenaSani, www.alenasani.com/products/montessori-activity-trays. “Spectacular Spider Activities for Kids.” Early Learning Ideas, 7 Oct. 2017, earlylearningideas.com/spider-activities/. “Spider Web Walking Halloween Game.” No Time For Flash Cards, 9 Oct. 2017, www.notimeforflashcards.com/2011/10/spider-web-gross-motor-activity.html. When your child starts to feed himself, he is tapping into his fine motor skills. Every time he smashes bananas all over his face or spoons his favorite veggies into his mouth, he's actually cementing muscle strength and coordination into his memory. The emergence of self-feeding facilitates improvements of fine motor skills needed for writing, cutting with scissors, etc. Fine motor ability is also the foundation for independent self-feeding. Below is a normal developing timeline outlining the fine motor development related to self-feeding. • Fine motor/oral motor: Hands are starting to rest on the bottle during feeding. • Food intake: Breast milk and/or formula. At 4 months, puree or baby cereal may be introduced if approved by your pediatrician. • Fine motor/oral motor: Your child should be independently holding the bottle with both hands. With the introduction of purees, co-feeding develops. Co-feeding is the positive interaction between the caregiver and child during mealtimes. • Food intake: Continue with breast milk and/or formula, as puree, cereals, and possibly lumpy solids are introduced into the diet. • Fine motor/ oral motor: Pincher grasp (index finger and thumb) emerges allowing children to begin to finger feed. Posture is more upright allowing for independent sitting during mealtimes. Vertical chewing pattern (munching) emerges. • Food intake: Provide more finger foods to encourage self-feeding such as pieces of cereal, teething crackers, or pieces of cooked pasta. Continue with breast milk and/or formula. • Fine motor/ oral motor: Your child will begin to purposefully reach for a spoon and attempt to spoon-feed. Pincher grasp becomes more refined. With the help of a caregiver, your child will be able to drink out of a cup. Munching pattern matures into rotary chew. • Food intake: Increase solid intake in diet including bite-sized fruit, cooked vegetables, and cheeses. Begin introducing thicker combination foods such as mac and cheese, casseroles, etc. • Fine motor/ oral motor: Child can grasps spoon with both hands for self-feeding. Drinks from cup with both hands placed. • Food intake: At 12 months, the switch from breast milk/formula to whole milk occurs. Continue with soft solids including vegetables, fruits, and meats. • Fine motor/ oral motor: Independently self-feeds and chews a variety of textures. Grasps spoon with whole hand. • Food intake: At this age, your child should be eating the family meals. • Fine motor/oral motor: Drinks from a cup with only one hand, and uses a fork and spoon. If you feel your child is significantly behind in fine motor development, an Occupational therapist can help! If your child is having difficulty with chewing and/or food acceptance, a speech therapist can best meet your child’s needs. Contact Lumiere Children’s therapy for a consolation with one of our occupational or speech therapists. Mattingly, Rhonda. “Typical Feeding Development.” 26 Sept. 2017, Louisville, University of Louisville . McCarthy , Jessica L. “Feeding Infants and Toddlers.” Mosaic Childhood Project, Inc. Starting your day might be as simple as a wave goodbye, or as difficult as a tantrum. Transitions can be challenging for many children, whether it may be going to the doctors, leaving a birthday party, or washing hands for dinner. • Concrete number. If a timer is not available or needed, use backwards counting as a reminder. For example, “Five more pushes on the swing, 5-4-3-2-1 all done”. Stick to the number you decided on to reinforce consistency even if your child asks for the inevitable “one more"
• Visual schedule. A visual schedule is a great tool for your child to visualize the finished activities, and prepare them for the future activities. If the day includes some non-preferred activities, add in a few preferred activities (snack break, 5 minute screen time, play outside, etc) so your child has something to work towards. Choicework is a great resource to create a visual schedule on the iPad. • Transition toy. Bringing along a familiar toy or object can help children remain calm and feel safe during a period of change. • Waiting game. Transitions can become even harder if there is a waiting period involved. Come up with some fun waiting games (I spy and Simon Says) during stressful moments. Games may also be used to distract during transitions, for example racing to the car, counting your steps, or singing a familiar song as you are walking. • Social stories. Transitions are difficult because they involve change from a familiar activity to something new. Talk through new situations with a visual storyboard. If making a storyboard seems daunting, practice acting out the situation ahead of time! • Transition words. Children need to learn concepts such as first, then, next, later, and now before they can understand the words used during transitions. Use the words in less stressful situations such as playing, “First you throw the ball, then I catch the ball”. Once they understand the words during play, these words will become easier to comprehend during transitions. It may take a few trials and errors before finding the best strategy for your family. Be sure to allot enough time during transitions in case of possible setbacks. It is important to keep a consistent schedule. Once your child becomes familiar with the weekly routine, transitions will start to become second nature. Heffron, Claire. “10 Calming Techniques and Transition Strategies for Kids.” The Inspired Treehouse, 20 Sept. 2017, theinspiredtreehouse.com/transition-strategies-preventing-tantrums-during-daily-routine/. Oakley , Bec. “18 Tips To Make Transitions Easier.” Snagglebox, www.snagglebox.com/article/autism-transitions-tips.